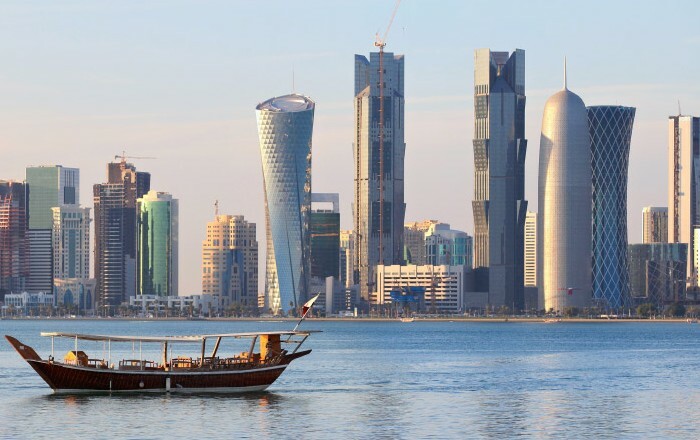 Qatar is home to television broadcaster Al-Jazeera and the BBC co-produced Doha Debates. Qatar was chosen to host the 2022 World Cup. It is the smallest nation, and also the first Arabic nation, to do so. One hundred years ago, pearl diving and fishing were the primary professions of Qataris. Qatar sits on the world’s largest known natural gas field. Qatar is one of the wealthiest nations on Earth, with an estimated per capita income of $145,000 USD. Qatar is a land of contradictions due to the speed of cultural transition and the discovery of natural resources. It boasts the façade of an open-minded culture but, just beneath the surface, many indicators of traditional Islamic society. There are some really great resources out there on prayer. There is no need for us to replicate them. Instead, we’ll just do our part to help you understand Qatar a little better. Qatar by David Chaddock, 2008. Qatar: A Modern History by Allen Fromherz, 2012. Doha: Webster’s Timeline History, 1850 – 2007 by Icon Group International, 2010. Qatari Voices by Bloomsbury Qatar Foundation Publishing, Carol Henderson and Mohanalakshmi Rajakumar, 2010. My Life in Doha: Between Dream and Reality by Rachel Hajar M.D., 2011. Understanding Arabs: A Guide for Modern Times by Margaret K. Nydell, 2005. Arab Women in Arab News: Old Stereotypes and New Media by Amal Al-Malki, 2012. The Battle for the Arab Spring: Revolution, Counter-Revolution and the Making of a New Era by Lin Noueihed & Alex Warren, 2012.